As third-party software, we can't offer support for issues within SPSS - while this process was correct at time of writing, it may change with future updates to the SPSS software. 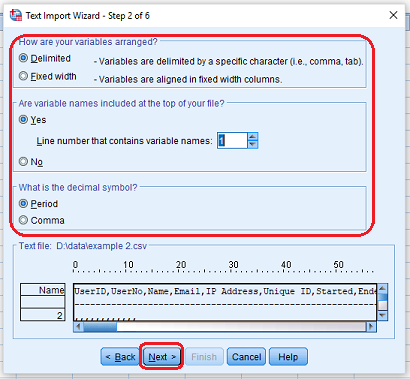 Currently, SmartSurvey cannot export directly to SPSS. 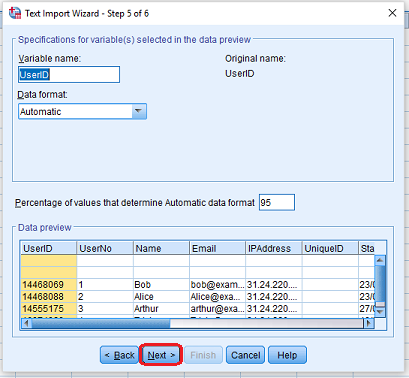 However, you can still import your data to SPSS using a CSV Export from SmartSurvey. 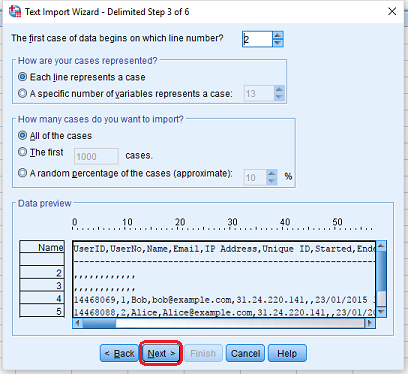 This article is about the process of importing to SPSS – for guidance on exporting to CSV, see Exporting Survey Results and Survey Export Options. 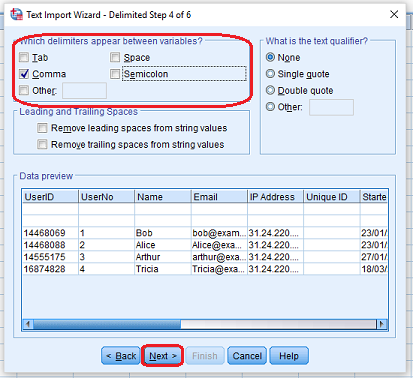 Once you’ve exported your SmartSurvey data to CSV, start the process in SPSS by going to File > Open > Data, and choosing “CSV (*.csv)” or “Text (*. 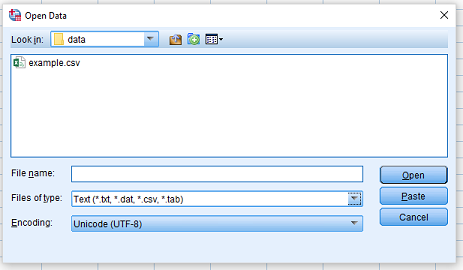 Txt, *.dat, *.csv, *.tab)” as the file type. 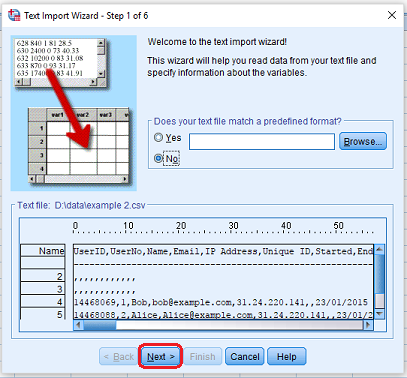 Opening your file will start the Text Import Wizard. This has 6 steps, and here’s what you should do for each step. If a step has options we don’t mention, you should just leave them as default. Step 1: Just hit "Next". Step 2: This should be correct by default, but as it's probably the most important step, ensure you have “Delimited” for the first option, “Yes” for the second, and “Period” for the third. Step 4: Make sure that "Comma" is the only chosen delimiter. Step 5: When this step starts, there’s a possibility of a message that says “Invalid variables names for this application have been found and changed“, but if it appears, don’t worry and just press “OK”. Apart from that, it’s another “Next”. Step 6: Just hit "Finish". 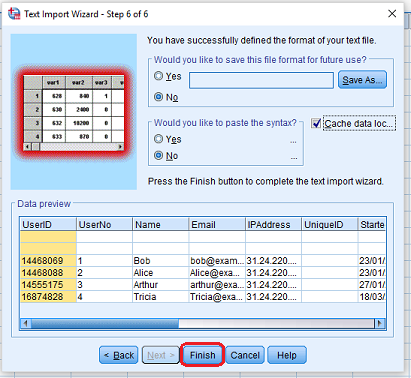 Make sure that you don't have your file open in another application, such as Excel, when doing the SPSS import. If it is, you'll be able to follow the steps above, but it won't open when you click "Finish".